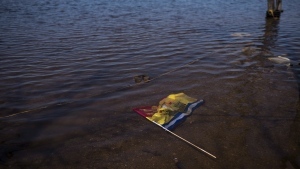 Majority of flood evacuation orders lifted in Boundary region of B.C. GRAND FORKS, B.C. -- The majority of residents in British Columbia's Boundary region who were forced from their homes by catastrophic floods are free to return home. The Regional District of Kootenay Boundary said evacuation orders have been lifted for about 1,400 properties, leaving about 326 addresses to go by Monday afternoon. Emergency operations centre co-ordinator Chris Marsh said the evacuation orders have been downgraded to evacuation alerts as a precautionary move, but that more flooding of the catastrophic scale already seen isn't anticipated. "(The alerts are) simply to allow us a bit of time to make sure the hot weather we're having this weekend and will continue to have this week does not threaten any homes with continued high water," Marsh said. A few of the more damaged communities -- including the neighbourhood of North Ruckle in Grand Forks -- are taking longer to assess, as they require inspections from Interior Health before they can be deemed safe, he said. Twenty pairs of firefighters fanned out across the region this weekend, assessing damage at each property and assigning it a coloured placard based on what they find. While officials say they've been happy to find the majority of properties have been deemed safe, some residents will return to find yellow or red placards on their doors, indicating the need for a certified inspection or that the building has been deemed unsafe to occupy. Homes that were placed on evacuation order because of lost road access, rather than safety on the property, will not have placards. Members of the Canadian Armed Forces remain in the province to assist in flood protection preparations. While about 100 were stationed at Grand Forks, they are being redeployed to other parts of the province that might still be faced with flooding. Military personnel continue to bolster a large gabion and sandbag wall to protect residences in the Twin Lakes area, the regional district of Okanagan-Similkameen said Monday. 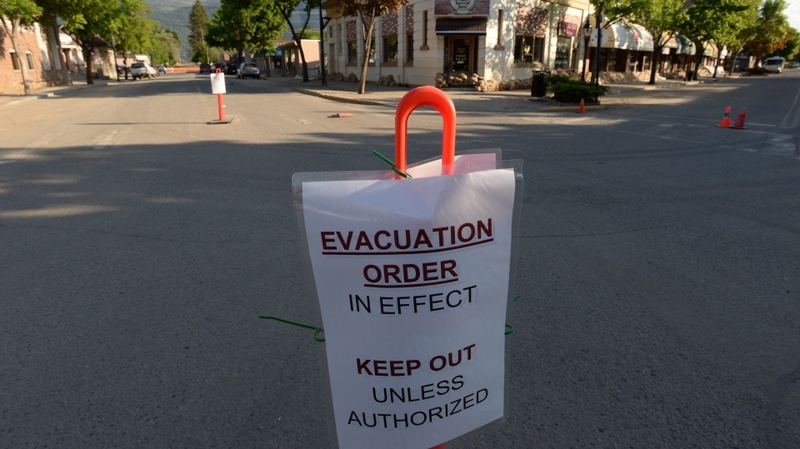 The regional district issued evacuation orders to four properties six kilometres west of Keremeos, due to the threat to life and safety, on Monday. A map posted by the Fraser River Regional District website that shows locations where evacuation orders are in place indicated the most recent being 18 properties around undiked areas around Nicomen Island and nine properties next to Harrison Bay.